Today, our Wilberforce University is in the midst of an EXCITING RENAISSANCE. In order to continue the important work and momentum we have begun, we need your urgent help. While challenges persist, we have a plan to build a stronger and sustainable Wilberforce. 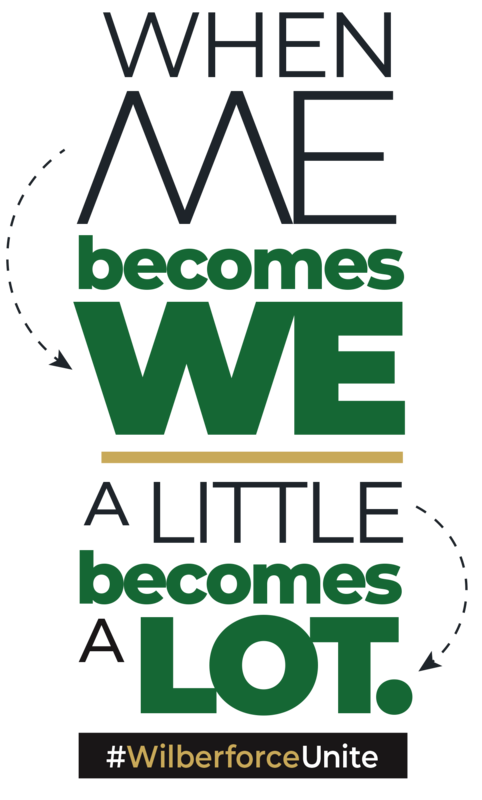 If there is one thing Wilberforce University students, faculty, staff and alumni do well, it is to persevere and rise to confront opportunity and challenge. We are a resilient community and we will unite to rebuild our proud University. We call on everyone with a stake in the success and future of Wilberforce to act today. There is no time to waste. When we give together, we change lives. I love Wilberforce!! Showing that love on a morning basis. Upon graduating from WU in 1985, I was hired by the US Army TACOM. I retired on 31 Jan 19. I attribute my success to my WU experience and education. I bleed Green & Gold! I am who I am because of Wilberforce. Thank you.